Take the 2015 Ace Community Census! Click here to take the 2015 Ace Community Census! The 2015 ace community census is now available – check it out via the link above! This ace community census is open to anyone over the age of 13, including both aces and non-aces. It will require approximately 15-20 minutes of your time to complete and will be open until November 15th, after which point no more entries will be accepted. If you have any questions or concerns about the survey, you can contact the AVEN survey team at asexualcensus@gmail.com or leave a comment on this post, and we’ll get back to you as soon as we can. And of course, please help spread the word! 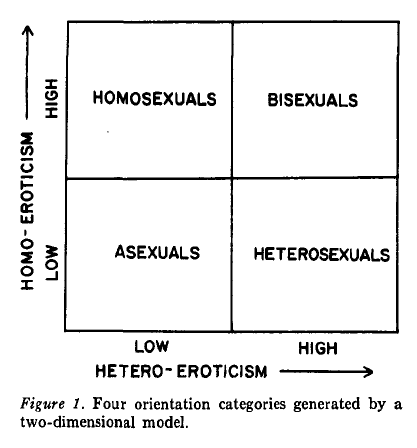 Question: Storms’ Model is a model of sexual orientation proposed by psychologist Michael Storms in 1978. Can we verify this model? Do asexuals experience low or no sexual attraction?